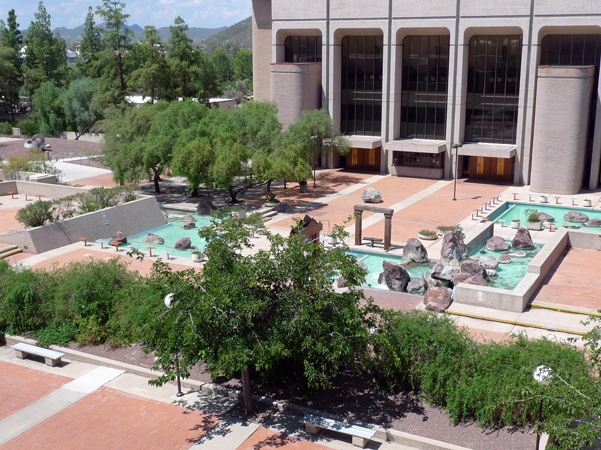 Created in the early 1970s when downtown Tucson underwent major urban renewal, the Convention Center site is a three-building complex that includes an opera hall, theater, conference area, exposition halls, and an arena. The city commissioned Garrett Eckbo of Eckbo, Dean, Austin and Williams to design a public space that would unify the buildings and engage passers-by. Opened in 1971, the project consists of both formal and informal components. 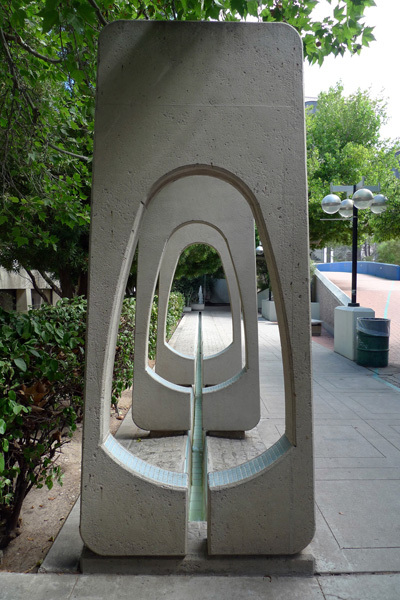 Eckbo, who saw landscape architecture as a social art, applied principles consistent with many of his civic projects: generous space between buildings to encourage group gathering, the use of water as a unifying focal element that also animated the public spaces, and the incorporation of shade trees that reflected the regional palette. Eckbo drew inspiration from the surrounding desert and pine-covered mountains to bring the nearby natural context into the city center. A series of connected concrete terraces feature shallow pools edged with boulders, which link together gridded groves of trees. 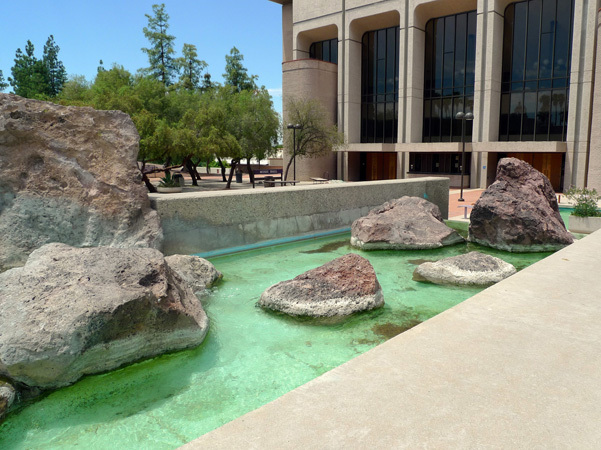 The water and rock formations create a series of waterfalls, some smooth and sheet-like, some evoking river rapids. While the attraction of the rushing water is a magnet to children in the hot, dry environment, the terraces provide a setting for outdoor performances and informal gatherings.